The very 1st post. Big apologies if there are insufficient information and such on the blog; just started and needs time. So here goes. 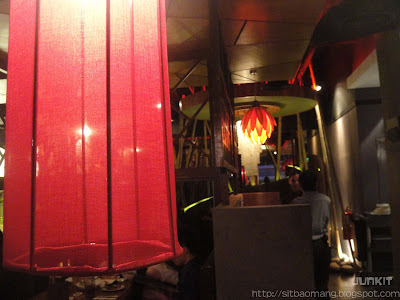 Had actually heard about Tao which had branches at Penang for quite a long time from the internet. 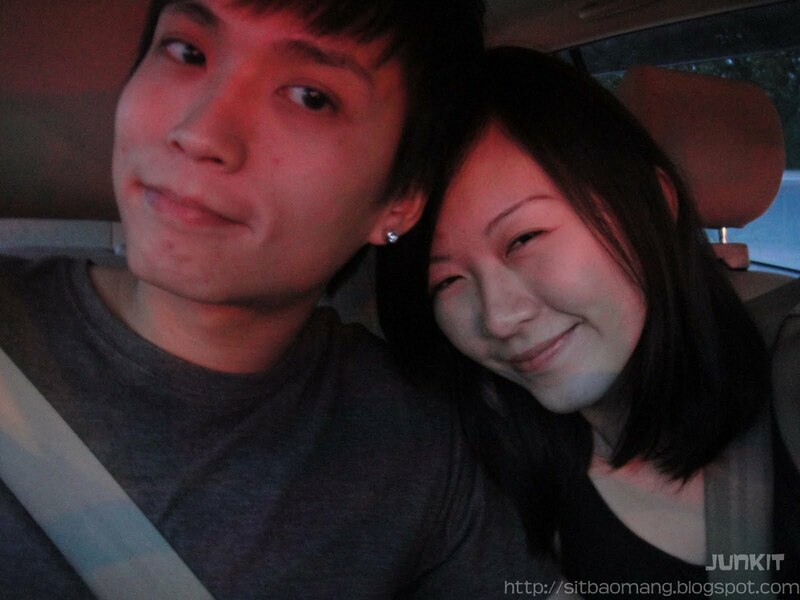 Once, while fetching the girlfriend who also lives in Kota Damansara and noticed there's a Tao branch opened at Sunway Giza! Certainly overwhelmed and arranged some time to go for some (expected) great buffet dinner! What's more surprising is that after some research on the internet, May babies would actually get a 50% discount from Tao only at this month (May). Certainly an extra combo as my gf's birthday actually falls on May. Didn't get to snap surrounding pictures though as never thought of posting the pictures on a blog. Will do so for next food reviews! 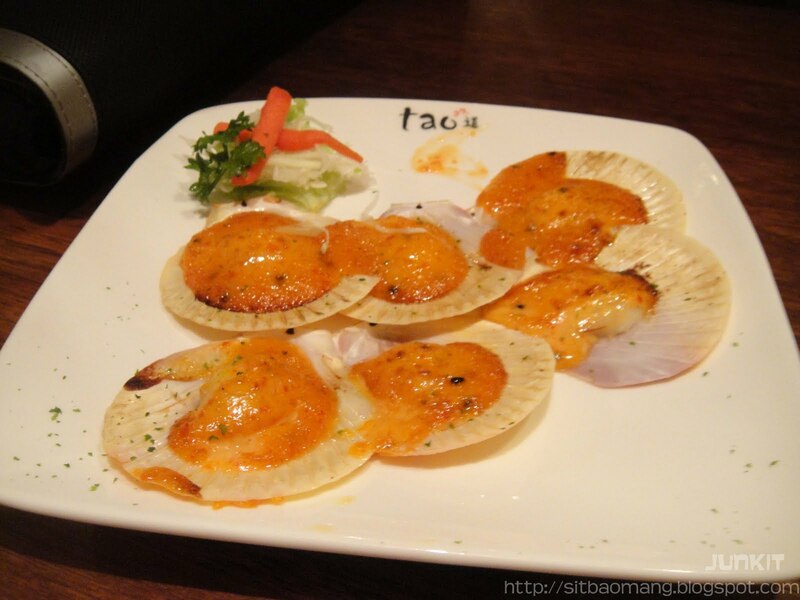 Tao is located at the 2nd Floor of Sunway Giza Shopping Mall, Kota Damansara. Very easily accessible during non-peak hours and parking is very ample. So we went straight in and enquired abit; and got ushered to quite a rather comfortable seat. Settings are so-so; comfortable enough yet not that posh if compared to higher priced buffet places - Jogoya, Tenji, etc. Tao's dining concept is that there are buffet sections; which consists of various sashimi (raw fish), sushi (raw fish with rice), teppanyaki (pan fried food items), yakiniku (grilled food) and oden (stewed soup with processed food ingredients - fishballs, etc.) choices. 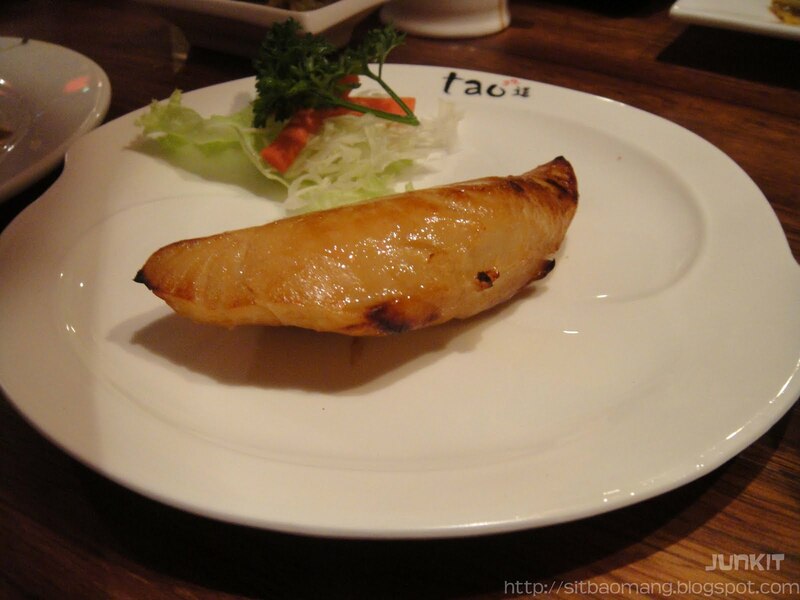 Another section of Tao is that it ordering could be done from the menu that is on the table. 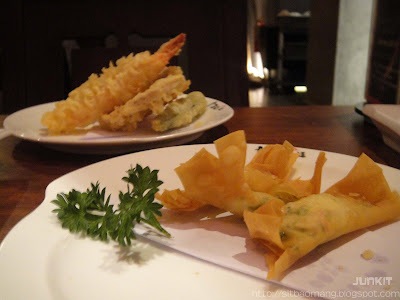 Foods like tempura, *noticed* more premium grilled items, steamed items and etc. could be ordered. I kind of like the concept as compared to other buffet restaurants which only incorporate only 1 concept. 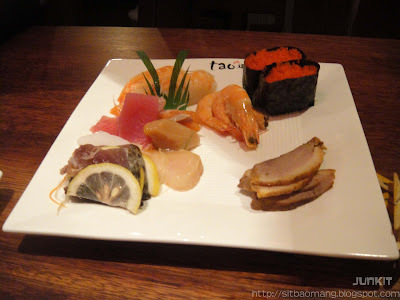 Reason saying is that sushi, sashimi and the said foods are always kept fresh by large amount of ice on the respective serving tray; so there is no need to order from the menu. 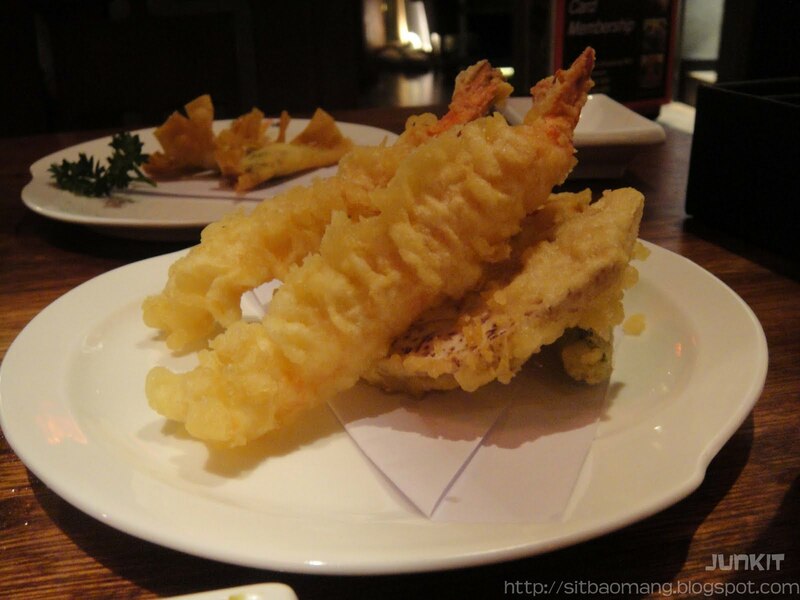 On the other hand, items like tempura, grilled stuff and meat cut should be prepared if only requested by customers so that the freshness and crisp level could be keep till the last bite. It also cuts down the workload of the already busy waiters/waitresses miserably alot. Brilliant idea I must say. Once seated we are briefed by the captain on their specialty and brief introduction. Great customer service. We then get to choose between green tea and some choices of juice. We zoom-ed around and survey on the food. The sashimis look fresh and appetizing. Fish roe sushis, some fresh prawns, salmon, tuna, mackarel sashimis and duck breast. Pretty fresh and taste good too. 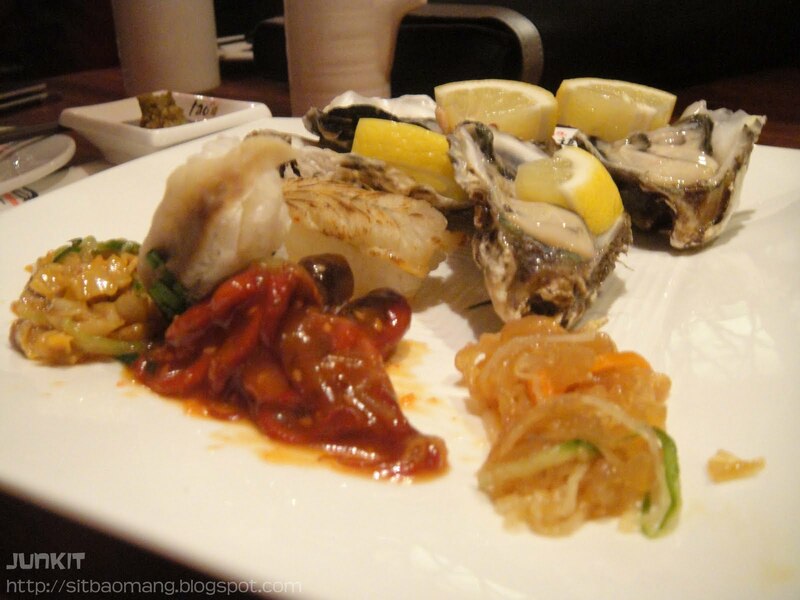 Some baby octopus, jellyfish and raw oysters. The oysters tasted really fresh and has no sign of smelly pungent taste. Really good that my girlfriend had like half a dozen by herself. After having some raw food appetizers, we moved on to some cooked items on the menu. The 1st to come was the unagi don; which literally means grilled eel with rice. 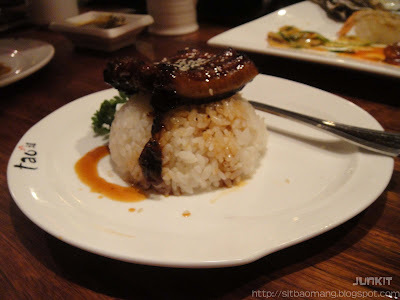 Pretty good unagi; but it's better if they could let us omit the rice as it's very fulling. Didn't bother to finish the rice though, lol. Grilled mackerel fish which tasted ok. Reason saying was maybe perhaps I'm not a big fan of mackerels. Preferred grilled salmon. Grilled scallops with thousand island sauce (I guess?). Tasted abit tad too sweet for our taste bud; but the mixture of seafood and the consistency of the sauce is interesting. Fried cheese and crab rolls. The cheese tasted very good and rich; but couldn't taste any crab meat as it's being overpowered. Will definitely go for this dish again. Tempura set. The fried items consists of prawns, eggplant and ladyfingers. Decent tempura and the prawns tasted quite good too. However, tasted a lil hint of reused oil; which gives a little unpleasant after taste. 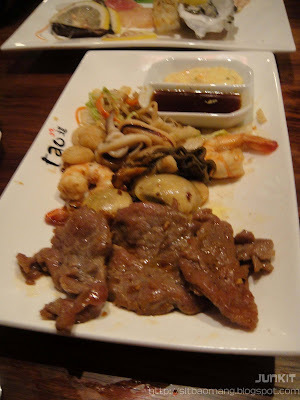 Some grilled foods - teppanyaki. Had some beef, scallops and prawns. Pretty good with very good buttery taste and flavored pack. Beef remained medium rare which is a good sign that they do keep consistency in cooking. The best dish of the night - Grilled lamb! OMG, looking it makes my stomach making noises right now! 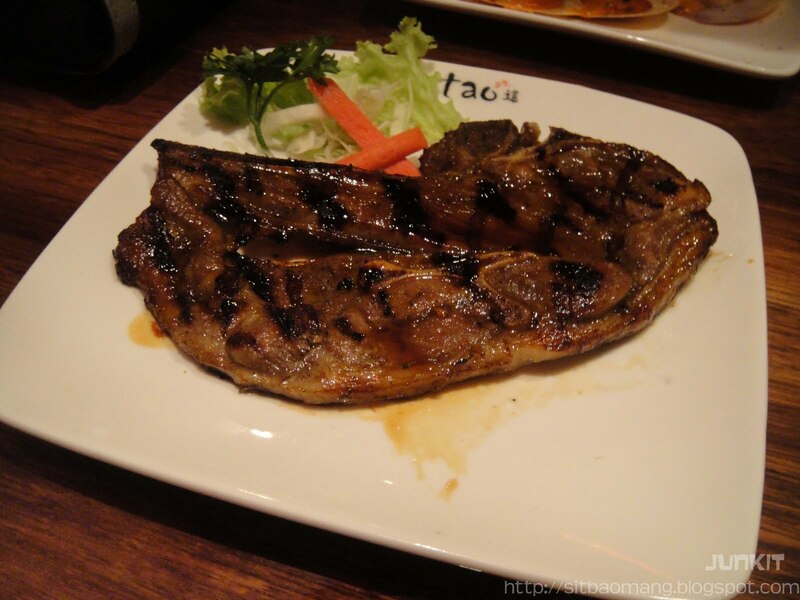 Medium rare, with Tao's very own special secret sauce and added with very fresh lamb meat makes it the best order. I was surprised when it was brought to the table - uncut and looks like something that I would order from a steak house. Hint of blood is still found - medium rare! Perfect! Would return to Tao just for this dish. No doubt! Enjoy this dish till the last bite. Ordered some other dishes like chawan mushi, tried the oden - pretty decent and ended up the meal with 2 cups of coffee - cappucino and latte. Not bad! Coffee keeps me happy =). The girlfriend had some fruits and ice cream. The total bill came up to around RM 100 (50% discount for the girlfriend who's birthday on May). Worth every cent considering the amount and quality of food we had. Would certainly be coming back. The very happy couple after enjoying every bit of the meal. Lol.